As one of F.C. 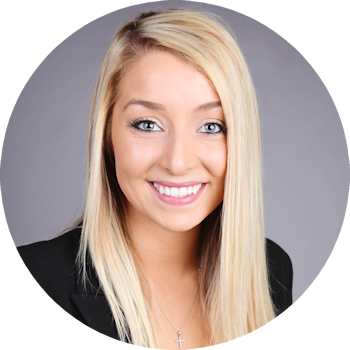 Tucker’s newest family members, Katie Hughey brings enthusiasm and a bright spirit as she begins her journey as a licensed, Indiana real estate broker. Katie has a passion for helping people and loves the emotional connection that comes with buying, selling and building homes, as she has done alongside her husband, Alex. Katie brings a background of 8 years in customer service and is excited to bring that experience into her real estate career. Katie enjoys spending time with friends and being outdoors, on the water and in the barn, with Alex and their young son, Archer. Katie is small-town girl who would love to make your home buying or selling experience smooth and enjoyable as a member of the great Anthony Team! To speak with Katie and experience The Anthony Team Advantage today, contact her directly at 317.657.5090.